The biggest names in gaming will descend on Abertay University later this month, as the UK’s biggest student video games conference comes to Scotland for the first time. 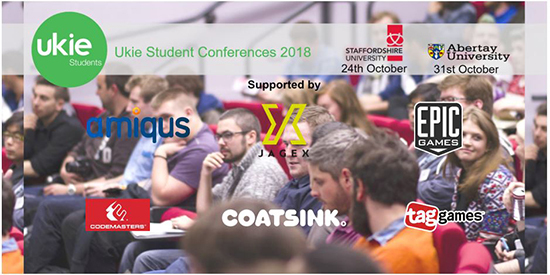 Among the key speakers at the free event are Hannah Watts, an Abertay alum who’s now a Senior Artist at Coatsink, and Chris Bain, the former General Manager for Microsoft in the UK. Other experts on the diverse lineup include Karl Jones, a Software Developer at Unity, and Tom Goodchild, an Abertay graduate who set up an independent games company from his home in Dundee. Tickets to the conference are FREE sign up here.